The 2016 NCC Conference attracted delegates from across the country. More than 200 delegates from the UK’s caravan industry attended the National Caravan Council (NCC) Conference 2016. This year’s line-up of guest speakers included Nick King, Insight Director at Autotrader; Carl Castledine, CEO at Away Resorts; Harvey Alexander, Director of Marketing at The Caravan Club and Alex Marshall of Management Consultants CIL. Hot topics included adjusting caravan products for Millennials and developing new ways of promotion. There were also insights into how technology is changing the world, the state of the UK and worldwide economy and how positive thinking can influence business in a positive manner. Rounding off the successful event was Kevin Keegan OBE, who gave an after dinner speech and helped to raise £2,440 for the NCC Benevolent Fund charity. 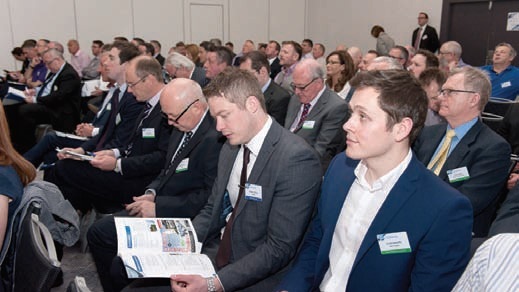 John Lally, NCC Director General, said: “From start to finish our speaker line-up was excellent this year, delivering fresh insights and new perspectives while stimulating plenty of debate in the process.